Your sovereignty is under attack. You don't need the red pill to see it because you've already been unplugged. It's all around you. 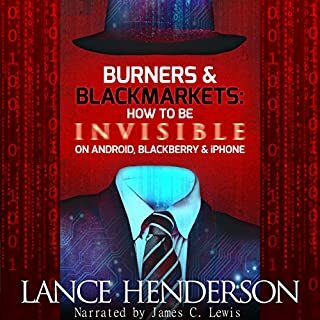 Within this audiobook lies top secrets known only to the FBI and a few law enforcement agencies: How to disappear in style and retain assets. How to switch up multiple identities on the fly and be invisible such that no one; not your ex, not your parole officer, nor even the federal government can find you. Ever. The FBI wants to backdoor your smartphone. So does the NSA. They failed with Apple's iPhone but like most bullies, they'll try softer targets - targets that don't fight back. That's why unless you've got the proper tools to ward them off, they'll return. Be ready for them. Buy this book and master anonymity and give the NSA a burn notice they'll never forget. A lot of books say install this, avoid that, but here you'll find easy steps to starve the beast. This book will set you on the right path. 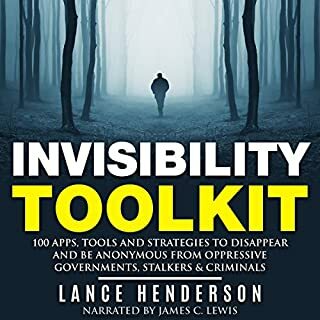 This manual will give you the incognito tools that'll make you a master of anonymity! Other books tell you to install Tor and then encrypt your hard drive...and leave it at that. 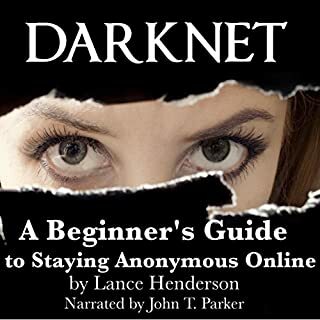 I go much deeper, delving into the very engine of ultimate network security, taking it to an art form where you'll grow a new darknet persona - how to be anonymous online without looking like you're trying to be anonymous online. Want to surf the web anonymously? 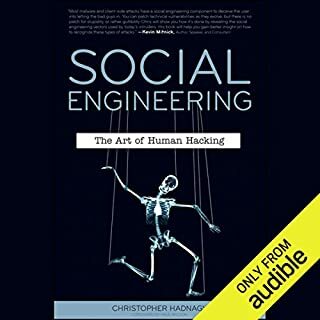 This audiobook is the perfect guide for anyone who wants to cloak their online activities. Whether you're on Usenet, Facebook, P2P, or browsing the web with standard browsers like Opera, Firefox, and Internet Explorer, I will show you how to become a ghost on the internet, leaving no tracks back to your isp, or anyone else. My name is Raymond Phillips. I graduated in 1996 with a bachelor's degree in criminal justice. After graduating, I went to work for a private security firm as an analyst and during my time there I was assigned to a big corporate client who was involved in some illegal activities and unfortunately I was exposed to their actual act of crime. Afterward, I found myself running for my own safety and had to disappear seven years ago. This book teaches you personal interaction on a psychological level. It runs from trivial tricks like getting people to like and respect you more, to tactical life skills like making a convincing argument or persuading somebody to do you a large favor. In case you're up for some heavier artillery, it also teaches you how to play manipulative tricks on people by exploiting arcane quirks in the human mind, to psychological combat maneuvers practiced by law enforcement and the military. Why do some people want to erase themselves completely from the Internet? I used to wonder about the same till I found the reason and had to do it myself. I am sure if you are considering this book, you too have a reason, but going through this process, I have learned a few valuable lessons. This book is all about those lessons, so you don't have to learn on the go as I had to. Instead, you can use this book as a guide and just follow the step by step process and see yourself disappear from the big World Wide Web. In this 45-minute listen, a former spy introduces two simple tools for thinking. The first describes how we think. The second helps us think ahead. They are the essential tools for getting things done. The tools are applied to an incident in a subway car in Europe where a spy faces a new enemy. Then, they're reapplied to Saddam Hussein's stockpiling (or not) of weapons of mass destruction. When you're a spy, you see a lot of strategies. It's your job to see grand strategies. Regional strategies. National strategies. Most of all, individual strategies. It's your job to see them and to understand them, because that's how you know when threats exist. To identify threats, you're infiltrating an enemy's organization. You're figuring out who is making decisions. And who isn't. You're collecting intelligence on what they know. And what they don't know. You're figuring out their plans. Excellent approach to strategy and game theory. 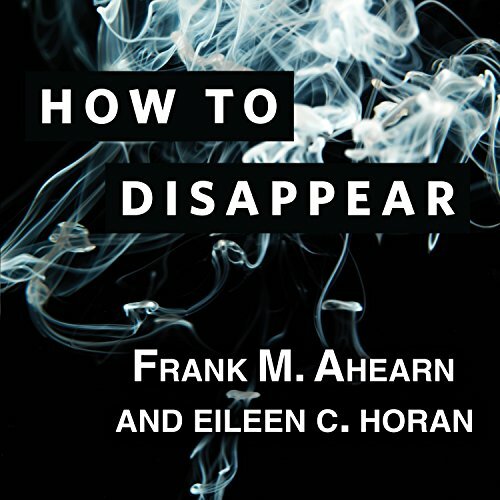 Written by the world's leading experts on finding people and helping people avoid being found, How to Disappear covers everything from tools for disappearing to discovering and eliminating the nearly invisible tracks and clues we tend to leave wherever we go. Learn the three keys to disappearing, all about your electronic footprints, the dangers and opportunities of social networking sites, and how to disappear from a stalker. Frank Ahearn and Eileen C. Horan provide field-tested methods for maintaining privacy, as well as tactics and strategies for protecting personal information and preventing identity theft. Ahearn illustrates every step with real-life stories of his fascinating career, including as a career "skip tracer" who finds people who don't want to be found. Make it to chapter 6! Would you consider the audio edition of How to Disappear to be better than the print version? No. The subject matter gets pretty detailed and complex for just an audio book. I bought the hard copy as well. I like the guys voice. It reminds me of the old school noir crime drama tales. I almost quit after the first few chapters. The author spends most of them telling outrageous stories and seemingly exaggerating his experience and resume. I thought the book would just be a bunch of BS... but FINALLY on chapter 6/7.. it really got into the meat of the subject. The how tos and the why's and everything clicked. Turns out I believe all the crap he was spewing the first few chapters. Definitely gave me a new perspective on the way I conduct personal affairs. I was turned off by much of this book because the author chose to brag about himself in an attempt to impress the listener rather than letting his admittedly great knowledge do the work for him. This book was full of a lot of common sense, i.e., not overly technical privacy issues that a person may not think about all of the time. The author's past work history dealing with clients of all sorts is an asset to the story-telling. He often gives several possibilities for a certain scenerio's outcome and how that may affect the choices available. The book is not about "how to disappear" in a literal manner, but more about how to keep a low profile in a modern world. It was a well written, entertaining book with some very interesting information. Worth your time. This book is pretty clear and pretty compelling. however I would probably read it in conjunction with another literature that is a little more tech savvy. As this gives the basic Street knowledge but things change. Also double check all the advice he gives to make sure its still current. What should a book do? It should take you into a world that you cannot enter on your own. 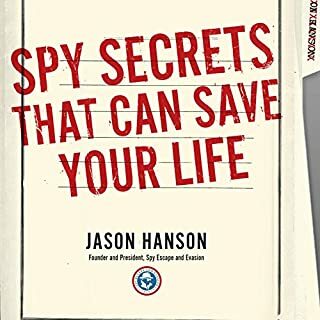 So, this book does that by showing you the inside world of skiptracing and other ways in which people can track down your information and learn all they want about your identity. I liked it and thought the narrator was perfect. Short, to the point and well-produced. A little shocking for me to realize that this is not fiction, but that a lot of this material is very real...it takes general knowledge to the next level. Great book. Loved the humor. It was a very thoughtful book. I really enjoyed the information but wish he would have gone into more detail. Some of the advice was a bit complicated and it would have helped to explain it in more detail. After reading this I understand why companies request we "register to sign up " ALL THE TIME so they can profit by selling our info to data-mining entities who destroy our privacy and profile us like a herd of cows using our purchase history-it's disgusting.